Low miles and well maintained 1 OWNER! 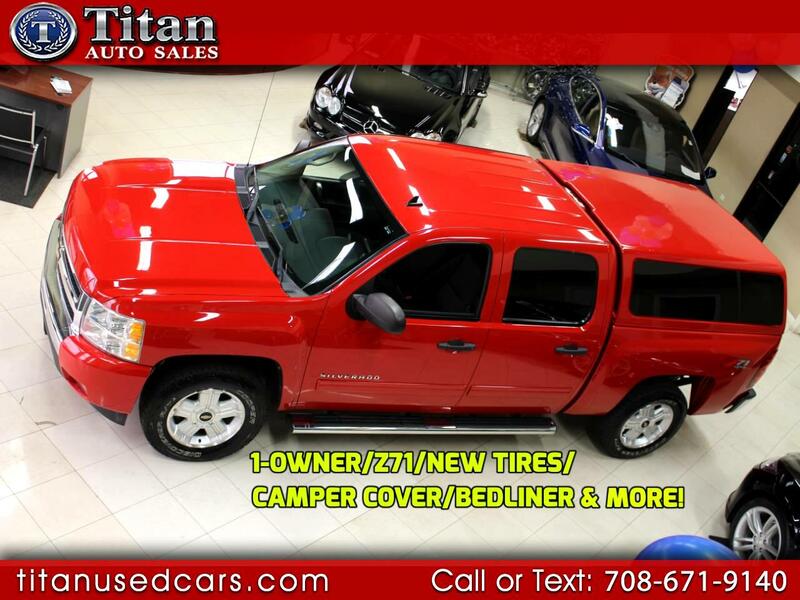 Fully loaded with Z71 Off-Road Suspension package, Brand new tires, 6-INCH chrome tubular running boards, Lakeland Camper Shell Cover, Rugged liner bedliner, remote start, 18-inch aluminum wheels, dual-zone automatic climate control, 6-way power adjustable drivers seat, rear parking assist, front fog lamps, trailering package, Satellite radio, tire pressure monitor system, tinted windows, adjustable pedals, Bluetooth, USB Port, external engine oil cooler, engine block heater, heavy-duty cooling package, heavy-duty locking differential, road gripping 4wd traction and a powerful 5.3L Vortec engine. Buy with confidence from our AAA+ rated business. Come in and see why our Quality, Prices, and Reputation can't be beat. Also, check out our hundreds of positive Google reviews. Message: Thought you might be interested in this 2011 Chevrolet Silverado 1500 Crew Cab.